Guerrieri Rizzardi, the historic wine-growing firm in the Veneto region, is a result of the union between two ancient Veronese wine producers of substance: the Counts Guerrieri, owners of a centuries-old estate with vineyards and cellars in Bardolino, and the Counts Rizzardi, who acquired their vineyards in Negrar back in 1678, building the historic cellar of Pojega shortly thereafter. The small estate of Dolcè in Valdadige has always followed the life of the Guerrieri estate of Bardolino. 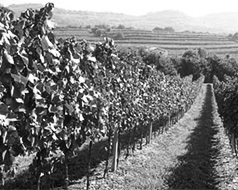 The Soave estate, with its vineyards and cellar in Costeggiola, at the centre of the Classico wase purchase in 1970. Today, Guerrieri Rizzardi is under the ownership of the Rizzardi family. It remains a family business with vineyards in the four Classico areas for the production of the Veronese wines of Bardolino, Valpolicella, Soave and Valdadige. 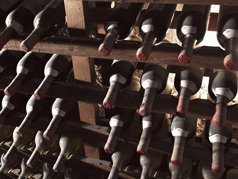 All our grapes come from estate vineyards and the wines are vinified in the cellars situated in each appellation.  They are all in the best DOC Classico sites, renowned for their location. Planning for the future is fundamental and part of this has been the construction of the new winery in Bardolino to serve as the company’s headquarters and allow room for expansion. Finished in 2010 and five years in the making, the new cellar also reflects the company’s desire to push new boundaries and constantly improve. Everything is designed to aid wine quality from the gravity fed system to huge insulation walls - allowing constant cool temperature and humidity. The environment too benefits from the winery’s energy self sufficiency through solar panelling and widespread planting of eco-friendly trees and shrubs. Guerrieri Rizzardi has always respected the balance of nature. We use natural compost to fertilize the vines. Guerrieri Rizzardi keeps the immediate environment in the tradition of natural plant diversity – in today’s language, biodiversity. Our wines are exported to over thirty countries worldwide and today they are recognised by many authorities as being amongst the very best in Italy, evident by Amarone Calcarole being declared Red Wine Of The Year 2014 by Gambero Rosso - Vini d’Italia. Guided into the future by Contessa Maria Cristina Rizzardi (a Cavaliere del Lavoro since 2011) and her two sons Giuseppe Rizzardi and Agostino Rizzardi, this will continue to be family company dedicated to further enhancing the quality and reputation of wines and vineyards of the Veneto. Agostino Guerrieri (1749-1833), son of Vincenzo (1711) has a passion for the land around Lake Garda and the hills. His marriage with Maria Teresa Rambaldi was a new and important job he arrived to fulfil with great efficiency. Producing wine from the vineyards of Bardolino was a typical activity but a challenge for him. Vincenzo Guerrieri (1792-1855), son of Maria Teresa and Agostino, undertook broad-ranging reforms in his properties, extending the size of vineyards and olive groves, building water systems and farmhouses. Smart and sharp thinker, he had a scientific background which was highly instrumental to the reorganization of his properties. He enlarged the cellars of Bardolino. After completing his studies in Austria (the Garda area was then under the Austrian rule), Agostino Guerrieri (1825-1893) continued his father’s tradition of managing the family’s properties. Giuseppina Guerrieri (1870-1967), la “ Grand Dame “, daughter of Agostino, married Carlo Rizzardi, heir of the Rizzardi family who owned a large wine estate in Negrar, Valpolicella. This marriage led to the merging of two highly-valuable wine-growing and producing properties which were traditionally regarded as a privilege of the noble families which had become established between the 15th and 18th Centuries under the rule of the Serenissima Republic of Venice. La “Grand Dame”, a very intelligent and modern lady, went through two wars (for her generosity her palazzo in Bardolino became a military hospital in the First World War and a military command in the second. Beppina – this was her nickname- never forgot her origins of a wise administrator of her land and of her estate and a producer of wines. Together with her husband Carlo Rizzardi they made of their company an example of beauty and efficiency. Her passion for her activity brought her to live over 90 years. The Rizzardi are coming to Verona from the Lombardy Riviera of Lake Garda in the XVII century. Very soon they look for new properties outside Verona and they choose the valley of Valpolicella. Carlo Rizzardi from Maderno of Garda arrives in Valpolicella and buys the property of Pojega with the nearby vineyards of Calcarole and the wine chateau of Rovereti. He builds the cellar of Pojega and Rovereti. Antonio Rizzardi creates the garden of Pojega, still famous in the world for the wonderful prospective of its design “all’italiana” and for its world known theatre in boxwood. Carlo Rizzardi marries Giuseppina Guerrieri. 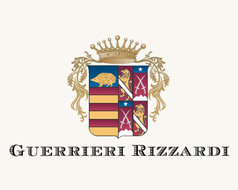 The labels of the Guerrieri and the Rizzardi wine production are now sold under a unique name: Guerrieri Rizzardi. Conte Antonio Rizzardi (1914- 1983), the son of Carlo and Giuseppina, soon understood long before others did, that agriculture – so neglected and disregarded after the war – was not only part of the history of Bardolino but also its future. Antonio was by profession an engineer but this he set aside to focus on the land. An environmentalist ahead of his time, he immediately understood the importance of the landscape and of the agricultural heritage surrounding Lake Garda. Therefore, when Bardolino started to become a holiday destination for Italian and foreign tourists, the age-old olive groves were spared from large-scale building projects and the vineyards continued to be looked after in the usual perfect way. 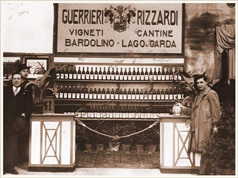 Antonio Rizzardi was highly instrumental in setting up various associations which would make the farmers rightly proud of their produce: he founded the Bardolino Wine Consortium and then the Riviera degli Ulivi/Garda Oil Consortium. He made the Rambaldi Loggia available as the first wine shop for the Bardolino wine growers and would never stop asking for new services and facilities to be set up in Bardolino to prevent it from becoming a closed town. His name is still remembered with admiration and respect.